As a blogger, I get the choice about which glimpse(s) of my life you see. The glamourous beautiful put-together parts are easiest and feel the best to show. But let's get real...life isn't always glamourous, beautiful, or put-together. This week my life has been overwhelmingly filled with messes. First Babycakes spilled an entire glass of almond milk into the side crack of our couch where it was then absorbed into the non-removable cushions. Then, I failed miserably at two new paleo recipes in hopes of providing a beautiful Easter meal for my inlaws who recently "went paleo." And then to top it off, today I walked into the house to find the entire contents of my trashcan strewn across my living room floor, including coffee grounds and juicer pulp pressed into the carpet. Thank you, beagles!! But some things are going well. 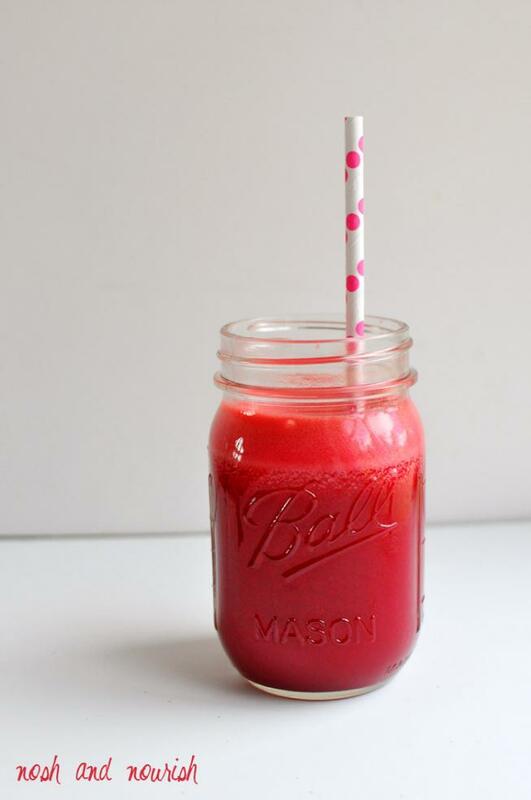 Like the daily juicing I commited to and the fabulous "juicing the rainbow" series I started! If you missed last week's Super Green Juice, be sure to go back and check it out. 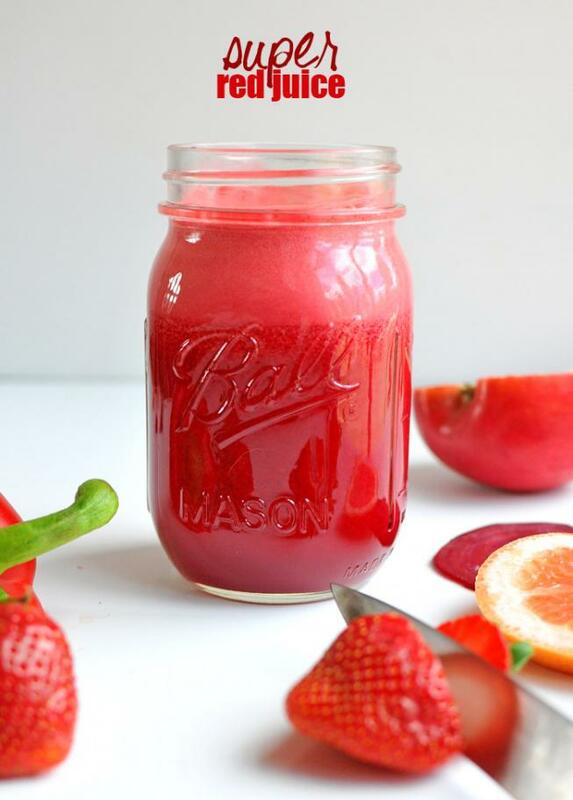 I am absolutely in love with the vibrant color of this red juice and my new mason jars!! 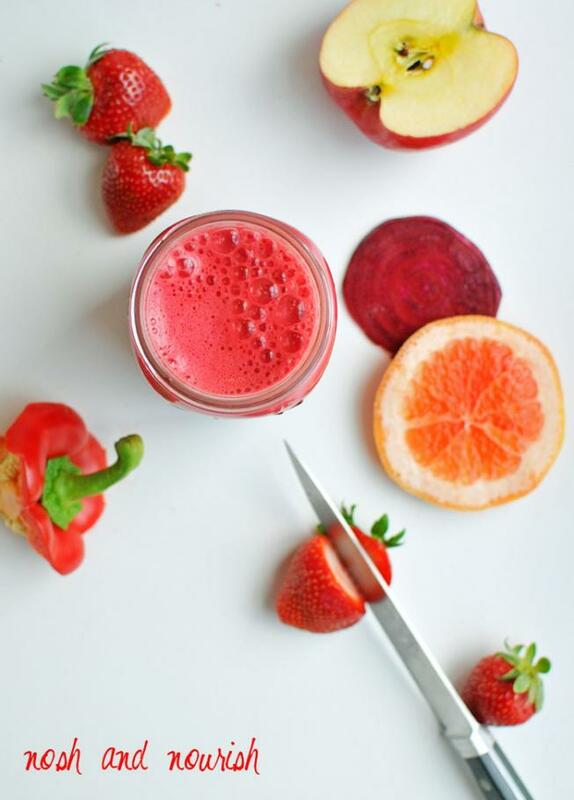 This super red juice is full of nourishing veggies (beet + pepper + jicama) but still citrus-y and sweet because of the fruits (grapefruit + apple + strawberries). Chop veggies/fruit into small enough pieces to fit through your juicer chute. Remove any excess foam off the top.